Spring is here! Well, it has been here for a few weeks, but most of the country is finally able to enjoy it. While the flowers bloom and the pollen blankets everything, it is time to do one of my favorite things: spring cleaning. Spring cleaning is not just for the extra clothes in your closet (although it’s great to go through that stuff too!) it is also for your work life. That heavy work bag that you carry around every day? Empty it out. Are some of those papers even necessary to carry around? If not, create a space for them in your workspace. If they aren’t needed anymore, shred them and move on. The pile of “things to do but can also wait” that grows just a tiny bit each week on your desk? Set an hour aside to go through it. Some of it might have already worked itself out, and some of it might just take 5 minutes to complete. The e-mails, oh the e-mails. The ones that are flagged for urgency, the ones that are marked as necessary, the ones that have been moved to folders and not dealt with yet. Deal with them. Unflag as many as you can, delete as many as you can, make sure your folders still make sense (some of those projects might be complete, and those e-mails can go). Whatever it is you find to clean out or organize, make sure you do it with thought, and at the end of this spring cleaning you will be able to look around and SEE your progress. And what feels better than that? Working women are often given advice that is easier said than done. I’m not talking about how we are told to just go in the office and demand that raise we have wanted or to just go to HR and let them know of the issues happening amongst coworkers. While both of those can be frustrating, especially when said from someone that you do not work with, an even more frustrating piece of advice can be when we are told to simply start practicing self-care. Don’t get me wrong, I think self-care is critical for everyone. Everyone man, woman, and child would love time to practice self-care! The missing piece in all the advice is HOW to practice self-care. Where to, realistically, fit in self-care with the demands of the office and home looming over us. Without taking moments for ourselves, we eventually burn out and become useless and possibly toxic to those in our personal and professional lives. A full-time working mother cannot just “go away for the weekend.” A woman that works 80+ hours a week might not have had time to make friends that she can grab dinner and drinks with. So, until people are offering practical assistance in telling you how to practice self-care, I’ve made a list of a few things that can be worked into your life... no matter what you do or how busy you are. 1. Put your phone away. Set the alarm in the evening and at that point put your phone in airplane mode or better yet, in another room if possible. This will help you fall asleep easier and spend less time scrolling social media (while comparing yourself to others) and reading over work emails that cannot be handled until the next morning. 2. Think of the skills of those around you. Can you delegate some work? Can you delegate some household chores? It’s not handing over power; it’s handing over tedious tasks that take up time you don’t have. 3. Reflect on your day when you leave the office. It can help to look at how much you have accomplished so that you don’t feel the need to work later. 4. Activity Tracker! That “buzz” on your wrist reminding you to stand up can make you take a call while pacing the office rather than sitting still. Any movement is better than no movement. 5. Keep a calendar. Put yourself in that calendar. Sometimes we don’t write down everything we have to do so it can seem overwhelming. However, if you keep appointments written down, then you might notice there IS time for you to do something for yourself. Maybe practice some mindfulness or make a call to connect with an old friend. Everyone’s life is different, and everyone has different priorities, and that is great! However, remembering that you are a priority and should take front row in your own life is essential. Don’t lose yourself or your family to a job. It won’t be there in the end. Women’s History Month is a wrap! So now we ignore it until March 1, 2020, right? No! Besides the fantastic stories that friends and companies shared throughout the month via social media, newsletters, and other outlets one of the most important things to remember is that these stories and lessons must be remembered 365 days a year. Below, I took note of some of the most recurring points mentioned in the stories of so many admirable women throughout history and also made a note of how we can bring those into the workplace and everyday interactions. From a young age, girls are worth investing in for the betterment of society. With the right support and guidance, women are capable of moving mountains. For various reasons, women’s voices are often not heard. Whether it be that others spoke over her or her opinion was not asked for, many times the “anonymous” idea is from a woman. Take time to listen to the women around you. Ask for the ideas, experience, and opinion. Then LISTEN. If a table exists, if decisions are being made, a woman needs to be at that table. Make sure that your company values this and includes women. Also, remember that having someone sit at the table is not the same as appreciating the person at the table (see above). From often being the primary caretaker to receiving less education, there are many stories of challenges that women face that are unique to them compared to their male counterparts in the workforce. If you are in charge of hiring, promoting, or evaluating employees, it is essential to keep in mind that what brought someone to their current position is often unique. These challenges add a unique perspective for women - one that is valuable! At the end of the day, the more people that we learn to value, listen to, respect, and collaborate with the more people we can impact as a company and also as an individual. As we read articles and see clips on the news about it being Women’s History Month, one question keeps coming up: What can we do to make sure that all the work throughout history can keep moving forward? Here are a few suggestions that can work both inside and outside of the workplace. • Collaborate rather than compete. With space at the table limited in some industries, try to work with other women in your company to come up with ideas to present. • Let people know that they are more than pretty. This can start with young girls and goes all the way to your adult friends. It’s nice to compliment people on outfits they put together, but it is also important to let them know that you see the other beautiful traits they have such as their strength, determination, humor, and drive. • Show up for other women. Whether it be a friend or a co-worker, if they express the need to talk - then listen. If you sense that they are struggling with something, ask them for coffee. Be a safe space for them to work through their thoughts. • Mentor women. Is there a program set up at your company to connect potential mentors and mentees? If so, sign up and get involved. If not, try to create one! • Hire female veterans. Hire females from any historically male-dominated field. These are tough fields to bridge into new careers. When we seek to rise, it doesn’t help us as a whole by climbing on others. Rather we should lift each other up. Remember, we are stronger together. Happy Women’s History Month! When you think of work travel, do you think of security lines, layovers, rental cars, new roads to navigate, and a hotel that looks the same as the one you were in last week? Or do you get excited and think of the opportunity to go to a new city and meet new people, all while sharing your professional knowledge and making new connections? There is no denying that there are parts of both these views that hold true. The travel can be grueling, especially when it doesn’t go as planned, and being away from home can be hard. But new people can also introduce you to a city and give you stories to take home. After traveling, and hearing others discuss their travel, some simple things can make travel easier. 1. Consistency. Use the same luggage, pack the same outfits, book the same hotels (if possible), and support known brands. 2. Patience. Delays happen. No one wants to be delayed. The person on the other side of the counter definitely doesn’t want a delay to occur. Show patience... and kindness. 3. Apps! Load your phone up with apps. From food delivery service if you aren’t comfortable going out to restaurants alone to an app to help you find the closest airport lounge, there are hundreds available to help organize your trip. 4. Schedule. While delays and bumps along the way will happen, this doesn’t mean that you can’t attempt to stick to a plan. Have kids at home that you want to talk to each night? Think of the time change and create a schedule and try to stick to it! Not everyone enjoys traveling, and that is ok. If you don’t, the sooner your boss knows, the better it will be for everyone. But if you are someone that wants to take advantage of seeing new places while working- keep it simple and make sure to take care of yourself on the road. Working from home is the ideal setup for more and more professionals around the country. Flex scheduling can make it easier to balance personal and professional obligations while also allowing people to work at their peak performance hours. However, with those benefits can there are some obvious downfalls. One that seems to come up more and more when asking a remote employee about working from home is the lack of adult interaction. The adult interaction I am referring to here is the comradery that develops in the office. The quick lunches, the happy hours, the co-worker that knows your coffee order by heart, and those that work alongside you and know you better than anyone else in your life at times. If you are missing these things while working from your local coffee shop or home office, consider the following two things to increase interactions: Skype and Travel. Skype. There are so many times that I have been working on a project with a co-worker, and we send e-mails back and forth hundreds of times giving updates. Or we work off of interactive documents and follow each other’s progress, only exchanging thoughts in the comment sections. You know what is a lot easier? Talking to them on skype and having it pulled up on the screen. This helps with two things. One, it can decrease the number of times the document gets sent back and forth because you can be working together while looking at the same thing. Two, it allows for some side chatter, which is what is missing from the office. While loading different documents and doing simple edits, you can chat with the person behind the e-mail address! This can give you a sense of who they are both professionally and personally, if they wish. Travel. While this is not feasible for all companies, if you are an employee that works remotely but travels for work, it is worth considering. If there is any way that you and a co-worker that you work on a lot of virtual projects with can end up on the same business trip, it can work wonders for team connections. Having that face to face time, even if just for a few dinners after work, can really help remote employees feel that they know and can talk to their co-workers. At the end of the day, we all have reasons for choosing the work environment we are in. None are perfect, but all can be made better so don’t forget to look for, and suggest, ways to improve your remote lifestyle! While receiving feedback can be stressful, the idea of giving it can create a whole new set of worries. Here we will examine some of the common concerns people have when expected to deliver feedback to their co-workers or superiors. 1. Am I qualified to deliver this feedback? This is a common worry, especially if you are newer to a company or team. It is important to remember that just because you are new to the company or feel unqualified, there is something about the subject or experience that the company recognizes that you have. They wouldn’t ask you if they didn’t want to hear your opinions! 2. Will my boss be mad at the feedback? First of all, hopefully, you are working in a company that protects all employees from retribution. Second, you are only delivering feedback to help your boss perform their job better. Everyone needs feedback, regardless of their job title. 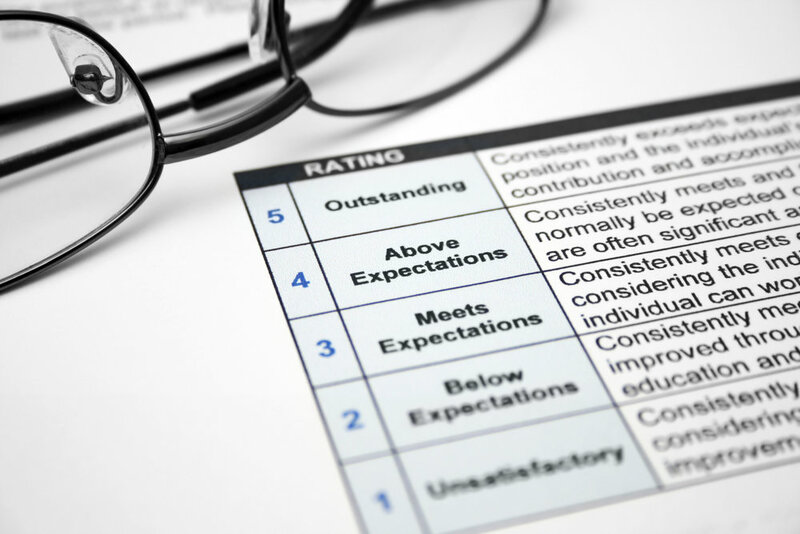 Often employers receive limited feedback, so when they ask for it - the really value it! 3. When do I give feedback? There are many times to provide input. If you feel that your boss is unaware of their actions impacting the staff, that is a great time to sit down with them and let them know. Also, if your boss asks for feedback, they WANT feedback! 4. Will my team be mad at me or view me as overcritical? A lot of this depends on your delivery. Being honest about why you are giving feedback and doing it in a way that is constructive, rather than destructive is really important. This can be tied in with concern number one. Give feedback on areas that you have experience and understanding. Remember that sometimes the most uncomfortable conversations can create the most change! Professional reviews can bring up some mixed feelings. On the one hand, they can come with a pay bump and, often overdue, recognition of all the hard work and innovation you have brought to the company. On the other hand, it is a guaranteed time that we will be told the areas we can improve and/or things we must change. Everyone handles feedback differently, with some taking it personally and some being very detached from it and recognizing that. No matter how you receive it, these are some basic things to remember and do while getting feedback. If you are sitting in a review, and not an exit interview, remember that your positives outweigh the negative. You are a valued employee, and the feedback is being told to advance you and the company. Do not walk out of the meeting only focusing on the areas that you need improvement. Look for the balance in the positive and negative feedback and see if there are ways that the positive can help you. Ask questions. If you are getting feedback that you genuinely do not understand, ask for clarity. This is your scheduled time for a review, make the most of it! Thank the person for the feedback. As much as you may not like receiving negative feedback, chances are high that the person doesn’t like giving it. I’ve heard of seasoned professionals saying that the worst part of their job is having to critique someone they respect. Next week, we will look at what to do when you are asked to give feedback to a co-worker or superior. A new year and new beginnings for us at Bauman Consulting Group. We are beyond excited to expand our team and welcome Erin Stark as a consultant and trainer. Erin comes to us with a B.S. in Psychology from Western Oregon University and an M.S. in Forensic Psychology with a specialization in Mental Health Applications from Walden University. She has first-hand experience facilitating and supervising various programs within several facilities in the Oregon Department of Corrections and will be bringing her passion for this population to our agency. In her personal life, Erin enjoys spending time with her family in Portland, Oregon and working with her local community. Please join us in welcoming Erin to the team! We have all heard that supporting co-workers is critical to the workplace and employee happiness. However, as women, we have also always heard that there are fewer women in higher positions of power and that we need to do whatever we can to climb. These messages can cause an internal conflict when it comes to how much to support other women in the office that are potentially interested in the same positions you are. Whether or not you are vying for the same positions or work in different departments, we at Bauman Consulting Group believe that the real way to empower women is to show them support in the career decisions they make. Whether it’s through mentorship, friendship, or some healthy competition to help push people a bit further, women need to support women. Don’t view others are competition, everyone is on their own path. Be open to friendships with women that appear to have similar career goals as you do. These women can prove valuable to bounce ideas off of and might be the only ones that truly understand some challenges you face. Find someone in the field that is greener than you and offer them your mentorship. Wouldn’t you have appreciated that as you walked through the doors? Know your own goals and stick to them. Ask for advice and feedback. If you don’t have a plan, no one can help you. Be nice. Why not show support to others? Empowered women have supported women. Now, let’s get out there and support each other!